Dr. Venetia Patout is from New Iberia, Louisiana and graduated from the Episcopal School of Acadiana. After attending Tulane University and the LSU School of Medicine in New Orleans, she completed an internship in Internal Medicine and a residency in the Department of Dermatology at the LSU Medical Center in New Orleans. 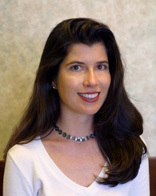 Following her residency, she joined the faculty of the LSU Department of Dermatology. While on staff there, she supervised the residents in the Cosmetic Dermatology clinic and instructed them in performing Botox and collagen injections, microdermabrasion, sclerotherapy, chemical peels and liposuction. She also supervised them in their general dermatology clinic. After moving back to New Iberia in 2001, she opened a solo practice, Iberia Dermatology. She is board-certified, with expertise in adult and pediatric dermatology, dermatologic surgery, and cosmetic dermatology. As a member of the American Academy of Dermatology, she frequently attends continuing medical education seminars to keep abreast of the latest developments in dermatology.